Home » Crops » Grains » Canola » GRDC Research Updates 2017: Sclerotinia in canola - ground infections, effect of row spacing, plant density and fungicide. Is it worth spraying after you see the disease? To evaluate optimum timing of fungicide spray applications, alternative products with new chemistry and cultural practices for effective and profitable management of sclerotinia stem rot in canola. To manage secondary spread of sclerotinia ground infections once disease appears in the crop. Seasonal conditions in 2016 allowed early germination of sclerotes, consequently triggering ground (basal) infection in several canola crops in the central and southern regions. Trials conducted in the northern region indicated that all fungicide spray timings targeted at different bloom stages were effective in reducing the disease incidence and improving the grain yield in canola. Net returns with different treatment timings ranged between $41-$148/ha. Disease incidence was also reduced in trials where fungicides were applied soon after detecting the ground infections. Wider row spacing (44cm) and lower plant density (15 plants/m2) had no effect in reducing disease incidence, however, disease incidence was significantly reduced and grain yield improved with the application of foliar fungicide at 30% bloom regardless of row spacing and plant density. Plants sprayed with each of the three fungicides (Prosaro®, Sumisclex®, Product C) had significantly lower disease incidence than that the untreated ‘nil’. Disease incidence was significantly lower at all timings of spray compared with the nil treatment. There were significant yield responses to all fungicide treatments. The net return for various treatments ranged between $41 (10% bloom) to $148 (10-50% bloom). Data revealed that row spacing and plant density had no effect in reducing disease levels, however, disease incidence was significantly reduced with the application of fungicide and it was less in Hyola 600RR than in IH30RR. Likewise, grain yield was significantly improved with fungicide application, variety and higher plant density. Varying levels of ground infection were present at the time of establishing field trials. Trial data indicated that further spread of ground/basal infection was significantly controlled with almost all fungicide applications. Results clearly indicate that although single fungicide application effectively controlled the disease, two spray applications provided maximum returns particularly in a prolonged season. 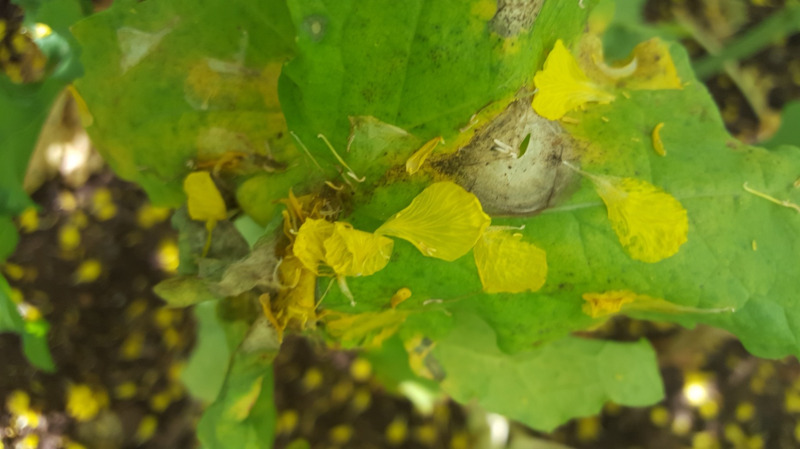 Wide –row spacing and/or lower plant densities alone didn’t provide any advantage in reducing the disease levels indicating fungicide protection is still needed in order to minimise losses from sclerotinia stem rot. Foliar fungicides applied after detecting ground infections were effective in curbing the further spread of the disease. Presentation: Sclerotinia in canola - ground infections, effect of row spacing, plant density and fungicide. Is it worth spraying after you see the disease? Paper: Sclerotinia in canola - ground infections, effect of row spacing, plant density and fungicide. Is it worth spraying after you see the disease?